This year we are please to host many of the teams at the Twin Creeks 10-field turf Complex, Palo Alto, and surrounding locations. The tournaments are open to any USSF affiliated teams: USCS/USYSA/AYSO. Last year was a banner year with registration totaling close to 600 teams. There must be a reason - or more! This is a "Stay & Play" tournament. 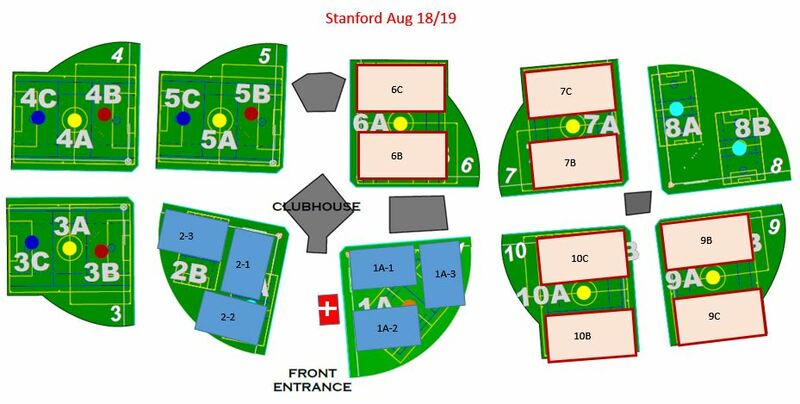 The Stanford Soccer Club has worked with Traveling Teams to arrange hotel room availability for all teams participating in the Stanford Summer Classic 2019 tournament. Teams using hotel rooms are required to obtain them from our approved hotels, using the group reservation procedure established by the Stanford Soccer Club and Traveling Teams. All the age groups will follow the Calendar Year based on 2019/2020 Matrix. $100 if withdrawal is requested in writing prior to the registration deadline. If the request is made after the registration deadline or after the team has been accepted the whole registration fee is forfeited. - Guest/Loan forms (if needed). For more information please email our tournament directors Teddy at trmntdir@comcast.net or Tanya at tournaments@stanfordsoccerclub.org.